It’s never too early or too late to beautify your outdoor territory. And it doesn’t really matter whether you already have a full-fledged garden, how tall your vine is and whether your garden gazebo is already constructed. Nothing can keep you from making a few cozy and original accents. And our selection of ideas will help you make up your mind. Garden décor is not limited to carefully trimmed shrubs and ceramic dwarves. It would be no exaggeration to say that there are thousands of ways to decorate the yard, including moss words on the walls and succulent compositions on suspended lights. 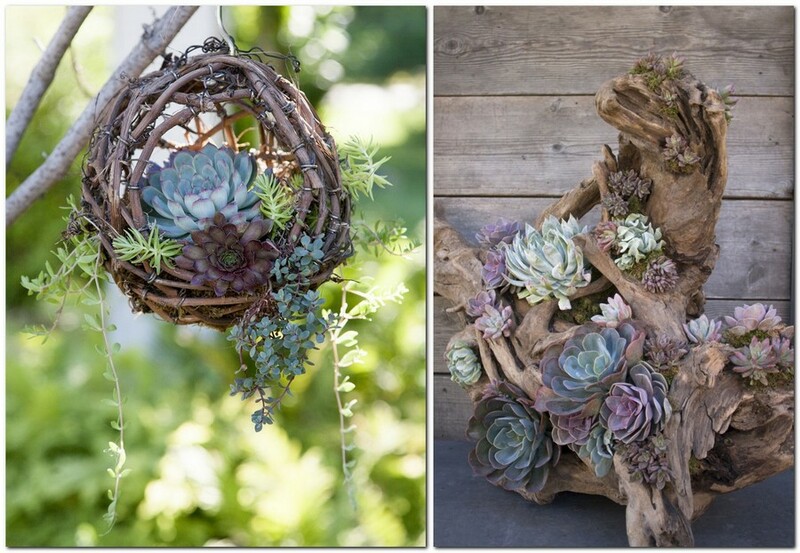 In fact, almost anything can be adapted as a framework for a piece of garden art. The only limitation is your imagination. Look through our collection of ideas to figure out which of your old, yet still good-looking stuff can move to your garden. 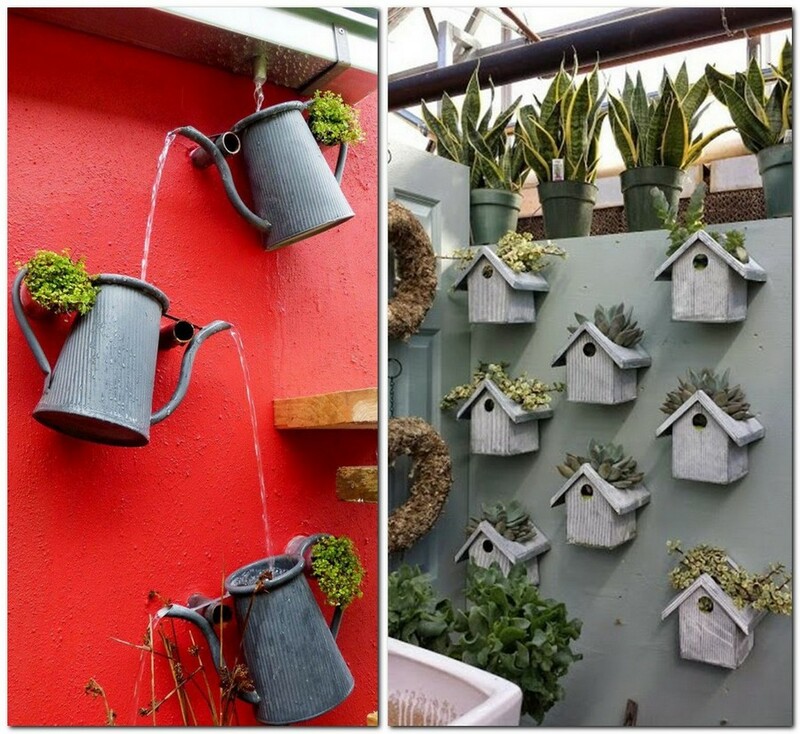 To our minds, garden décor should be cheerful and creative. An old bicycle covered with flowers, busts playing roles of flower pots or, for example, a house with a living roof would be just perfect. But if your soul strives for something more sophisticated and elegant, you may opt for a wrought whatnot, which may house not just flowers, but also berries and herbs. 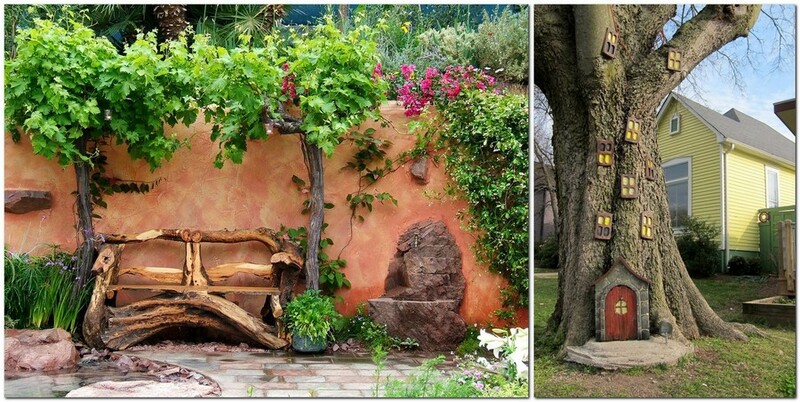 Using wood in décor seems to be the most logical solution for a garden. And here there are dozens of ideas for you – from wicker flower pots for succulents and strawberries to a shelving unit created from wooden pallets. You may start from the simplest things and create something new every year, gradually improving your skills as a home designer. 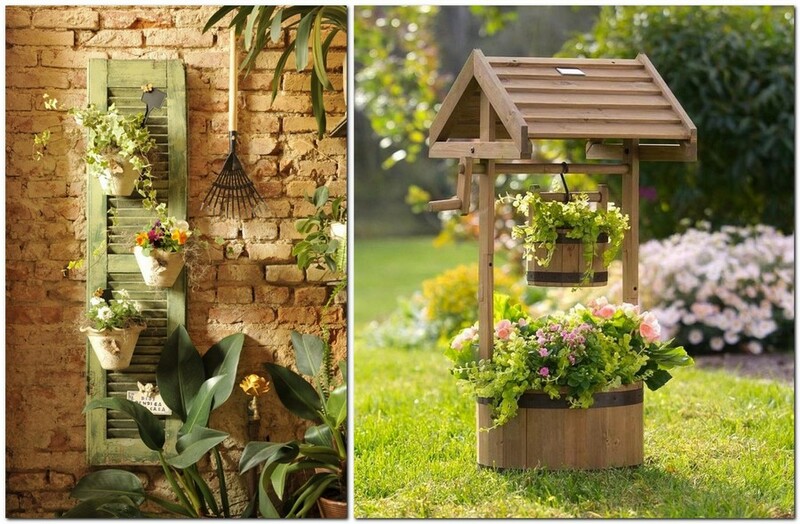 What can be more amazing than making the world around you better with a piece of garden décor? Try to make a birdhouse with your own hands to experience this feeling! 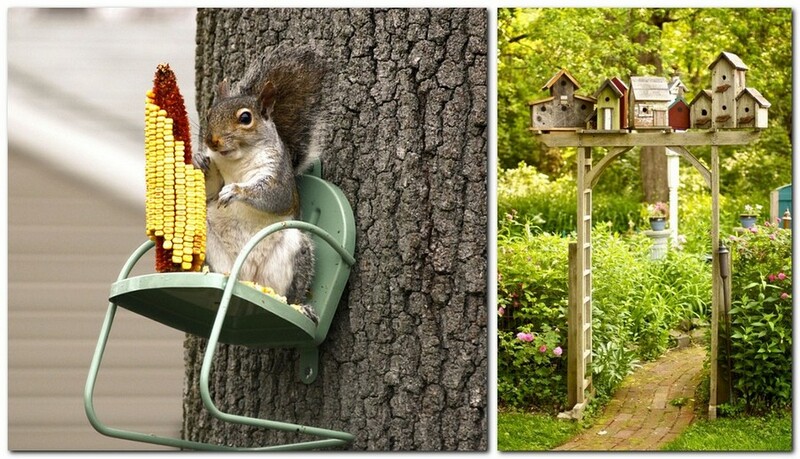 Perhaps, over time you’ll notice a squirrel or a bird you haven’t seen before. It’s a great option for ornithological self-education, isn’t it? And also a great way to show your imagination and creativity. 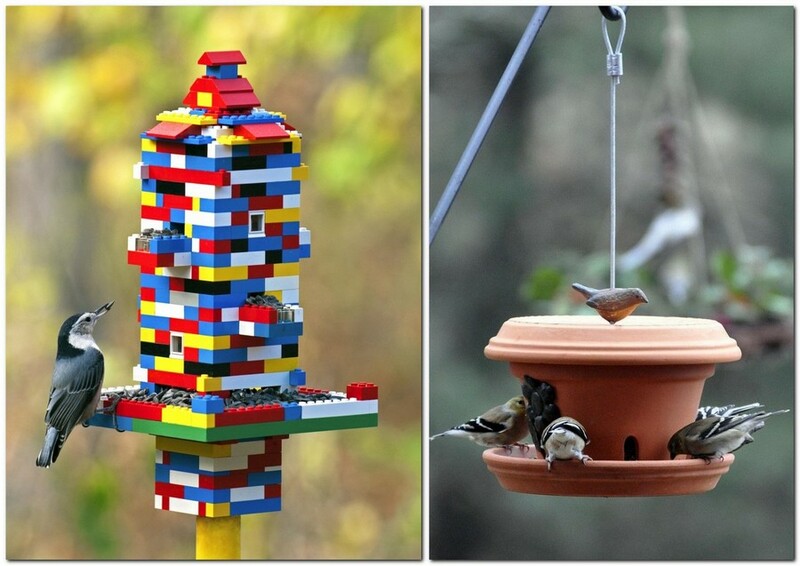 Have you ever thought that a birdhouse can be made from Lego pieces, an old tea set, a doll chair or a clay flower pot? 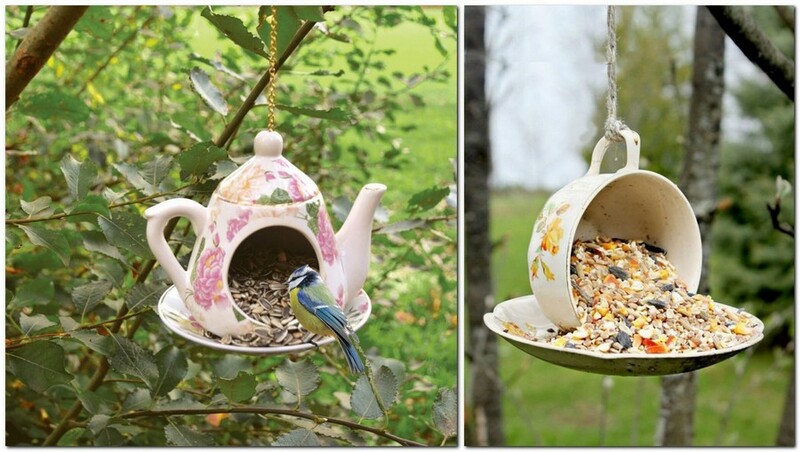 And if your creative mood wouldn’t stop with just one piece, you may create a whole set of birdhouses and arrange it as a makeshift arch in the middle of your garden. And let’s not forget that birds eat enormous quantities of insects, their eggs and larvae and thus do a great job in protecting our gardens.